I didn’t have a chance to blog yesterday, other than doing my part for the Weekly Photo Challenge. I was busy, as we all get; but I was busy making pins during the time I would have been writing. I was making pins for the party favors for my great nephew’s 5th birthday party, a birthday that not too many had thought would be seen. Liam was born prematurely, barely two pounds when he arrived the day after Christmas in 2008. 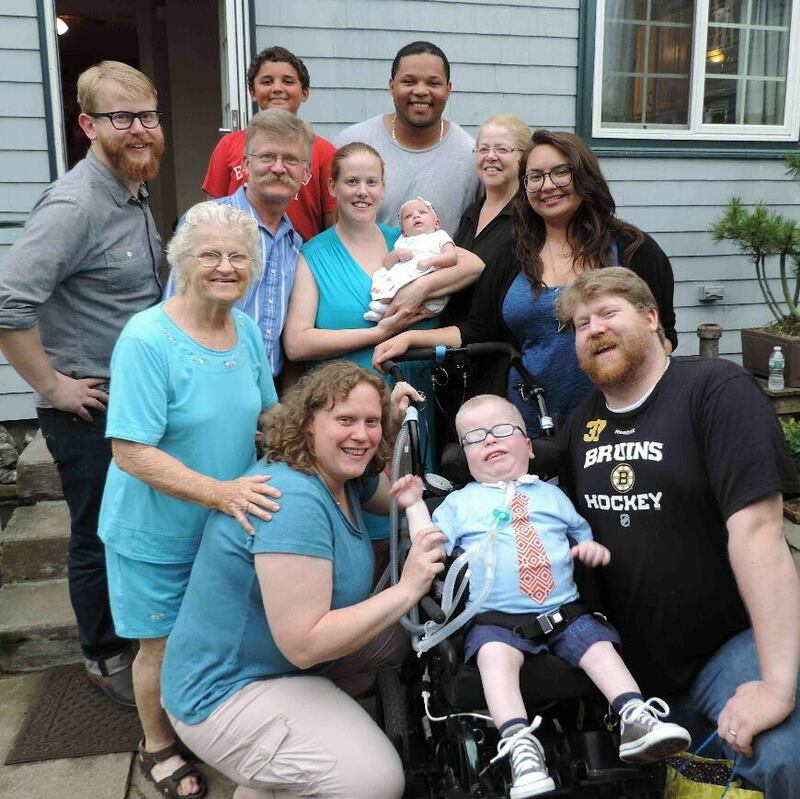 Doctors, therapists, nurses, specialists, all willing to talk about the challenges and disappointments that Liam and his mom and dad would face. Very few, if any, offered any words of encouragement or even cautious optimism. Liam spent the better part of his first year in the hospital, proving all those doctors wrong with his strength and fight. 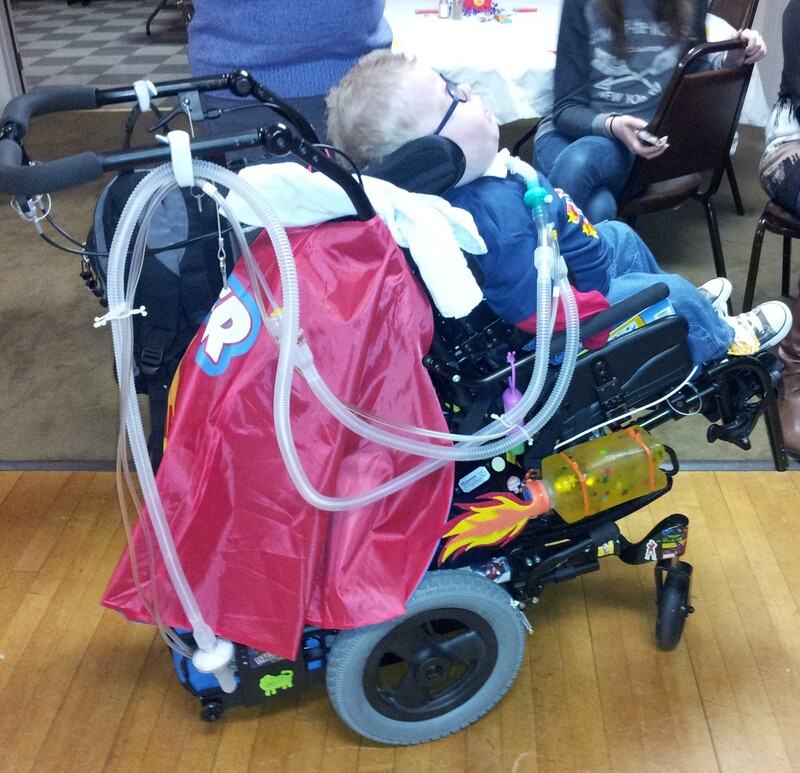 Liam’s mom tricked-out his chair for a super hero birthday party! At five years old, Liam goes to school, has friends, gets to see the Boston Red Sox in person, loves hockey, enjoys music, being outside, and his IPad. And that just a few examples of what he HAS been able to do. Liam and his parents, my nephew Eric and his wife Karin, have not been without some very difficult times though. Negotiating with doctors, home nursing providers, insurance companies, school departments — a lesser couple would have folded up shop a long time ago. 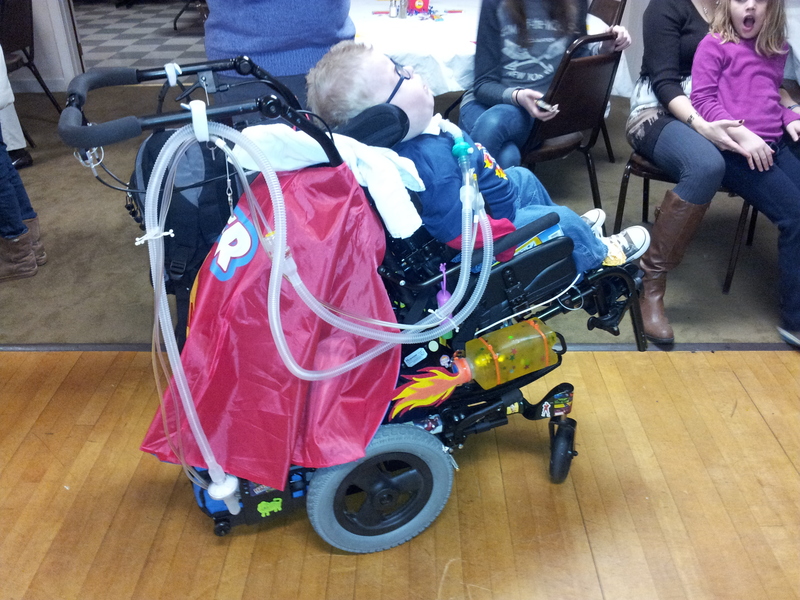 Eric chronicles their journey in his blog: Pressure Support, My Boy’s Ventilator Really Blows; you should take a look! My thank you today is to Karin and Eric. I think they are remarkable, as people, as parents, and as a family. Eric told me once that he didn’t think they were any more or less amazing than anyone else; their life is theirs and they do their best to make sure Liam is as happy and healthy as possible. While that may be true, I want to thank them for showing us all how to live life with gratitude, graciousness and grace. Happy Birthday, Liam! By the way, if you want one of these beautiful pins, let me know. 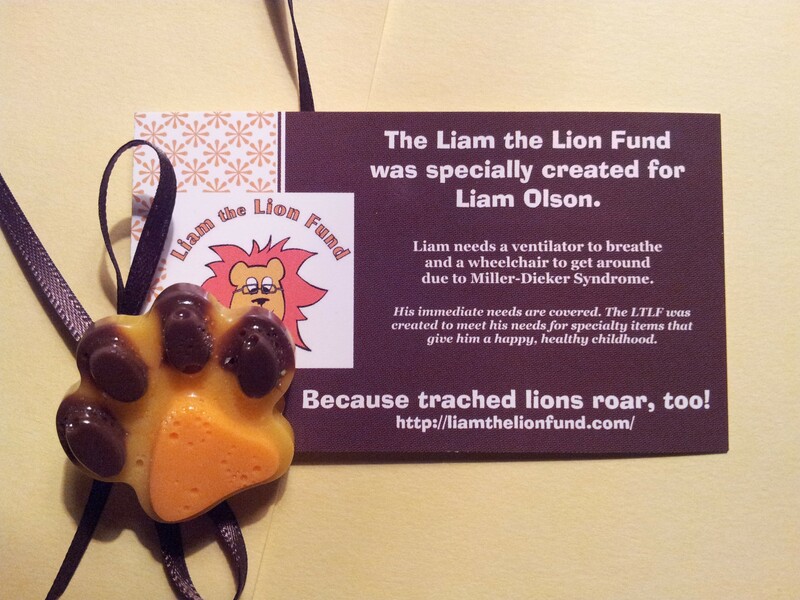 ALL of the proceeds will go to the Liam the Lion Fund!